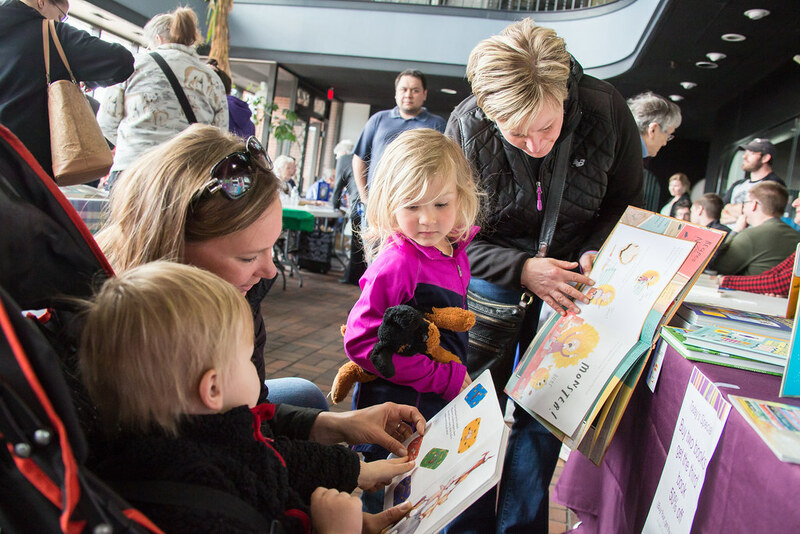 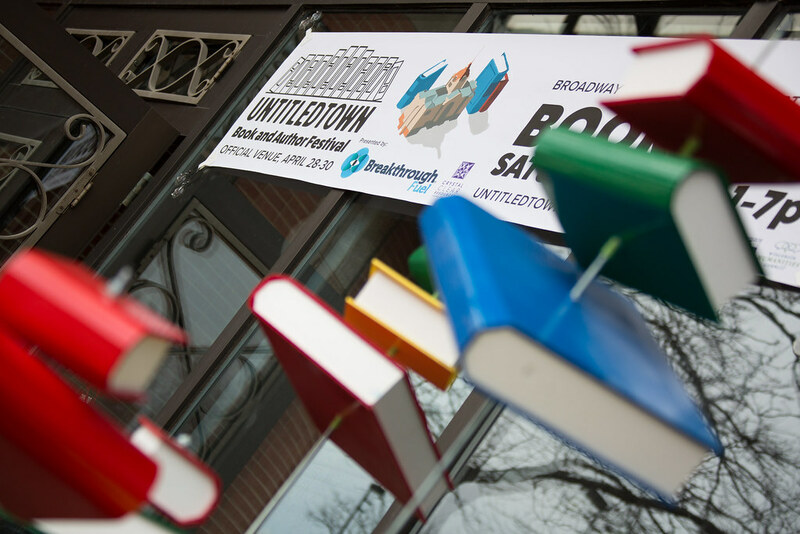 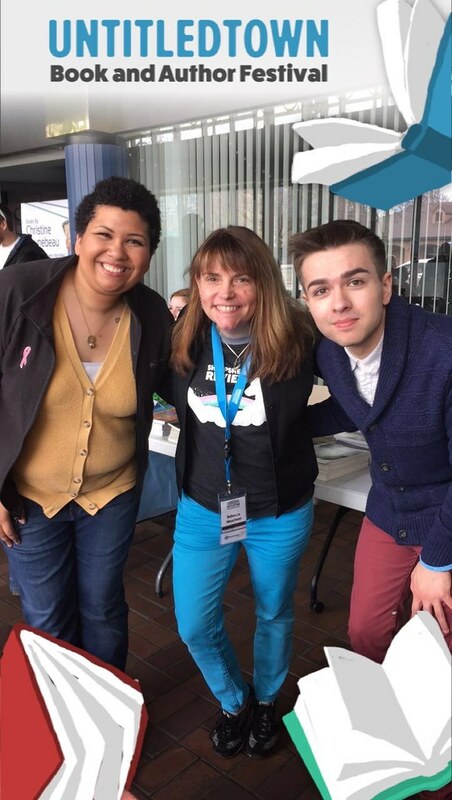 More than 2,000 people attended the first-ever UntitledTown Book and Author Festival April 28-30, 2017. 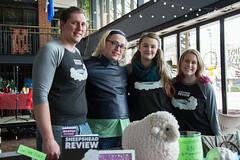 The organizers, many of whom are associated with UW-Green Bay, say the 80-event festival was a tremendous success. 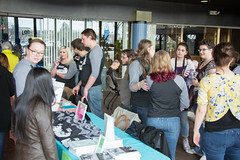 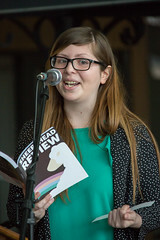 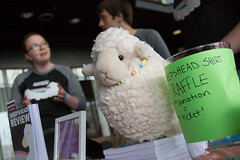 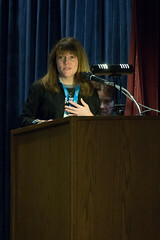 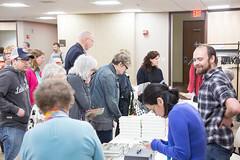 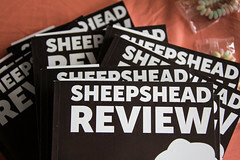 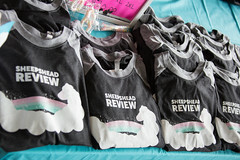 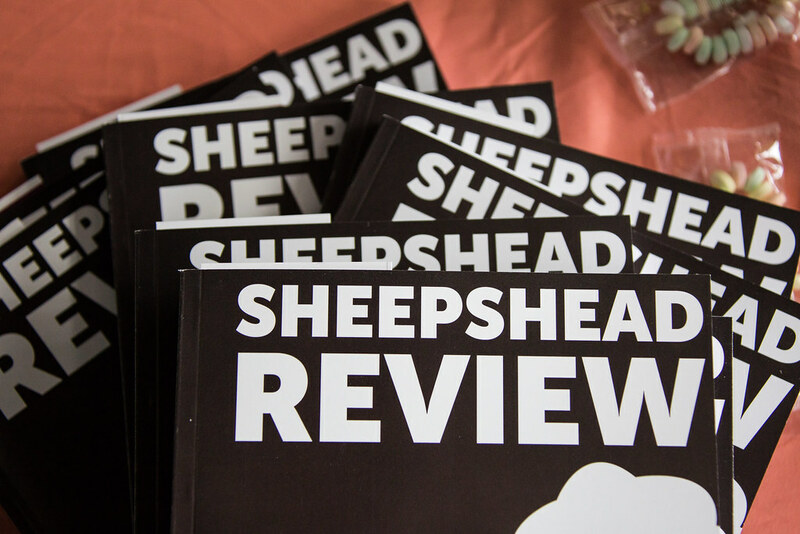 From writer’s workshops, bookbinding classes and panel discussions to author readings, book signings, the launch of UW-Green Bay’s literary journal, The Sheepshead Review, and more, every event met or exceeded attendance expectations, including the Festival’s final keynote presentations by acclaimed authors Sherman Alexie and Margaret Atwood, which were attended by more than 1,200. 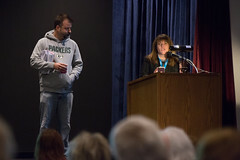 The Green Bay Press-Gazette has the story. 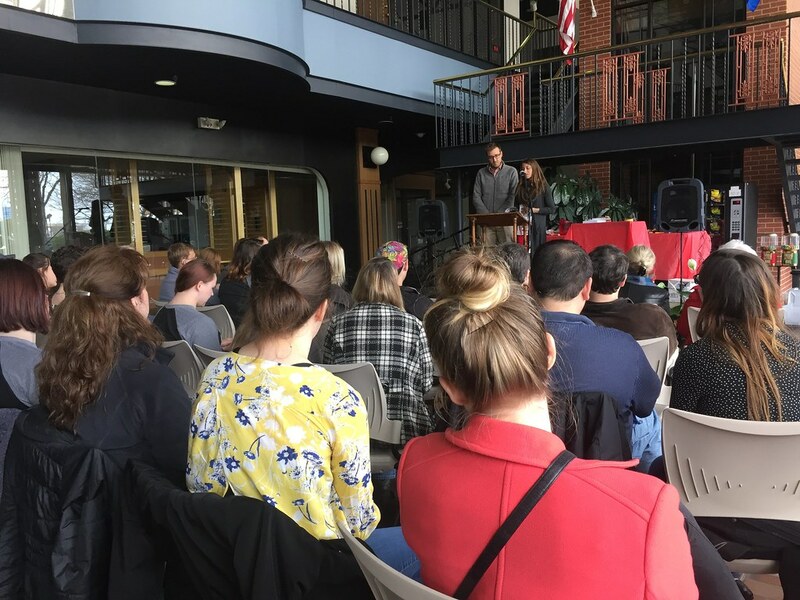 Margaret Atwood praised the event on Twitter to her 1.56 million followers and State Representative Eric Genrich shared his gratitude on Facebook. 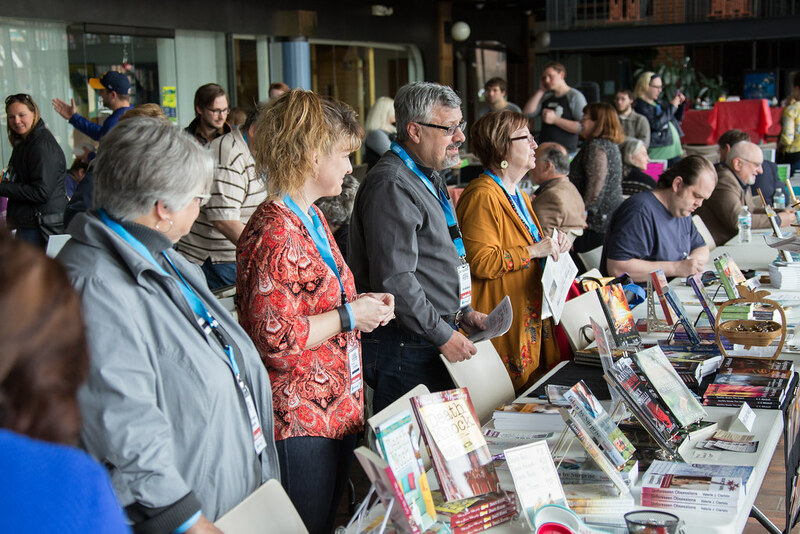 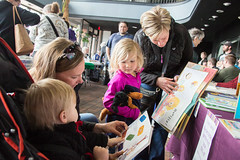 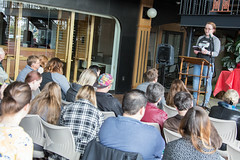 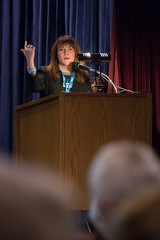 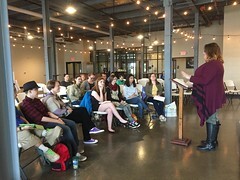 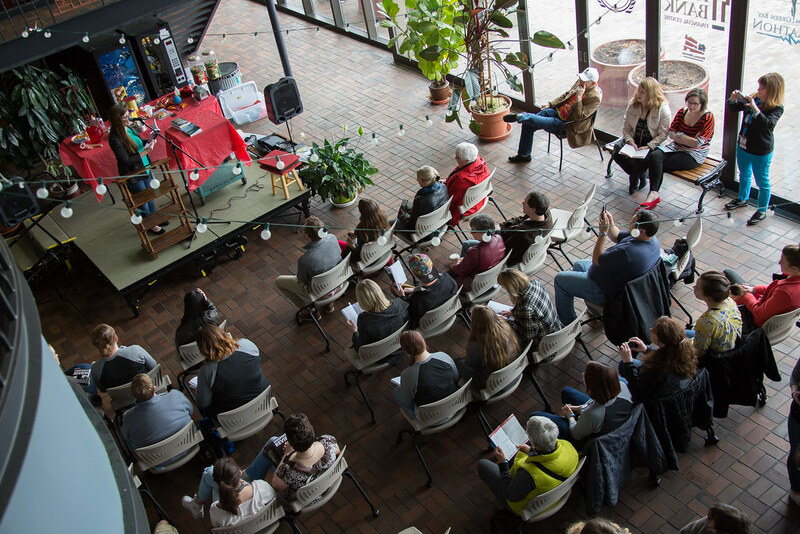 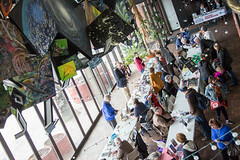 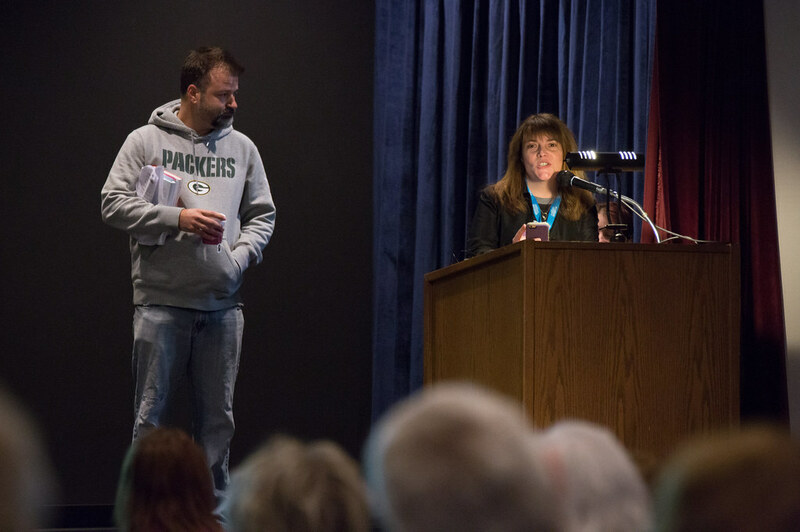 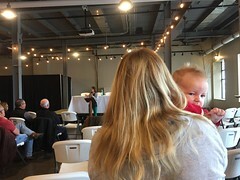 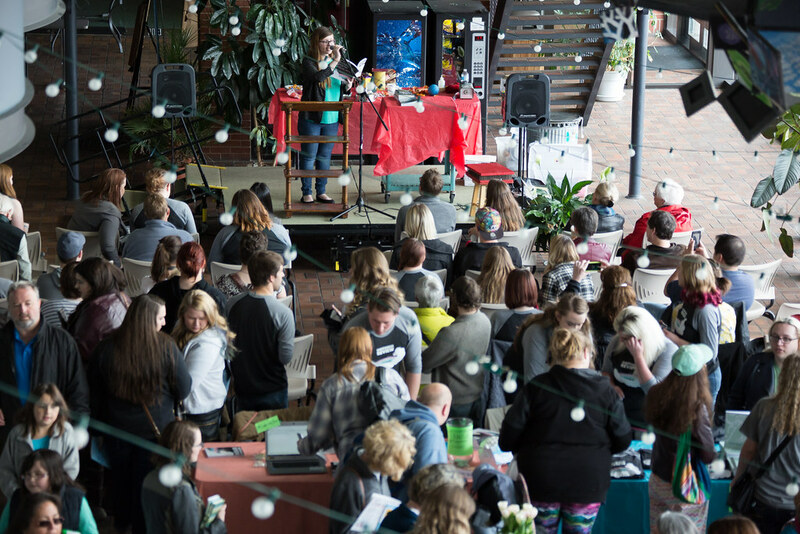 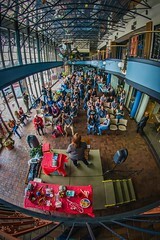 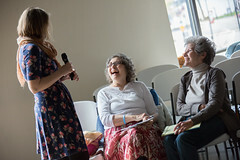 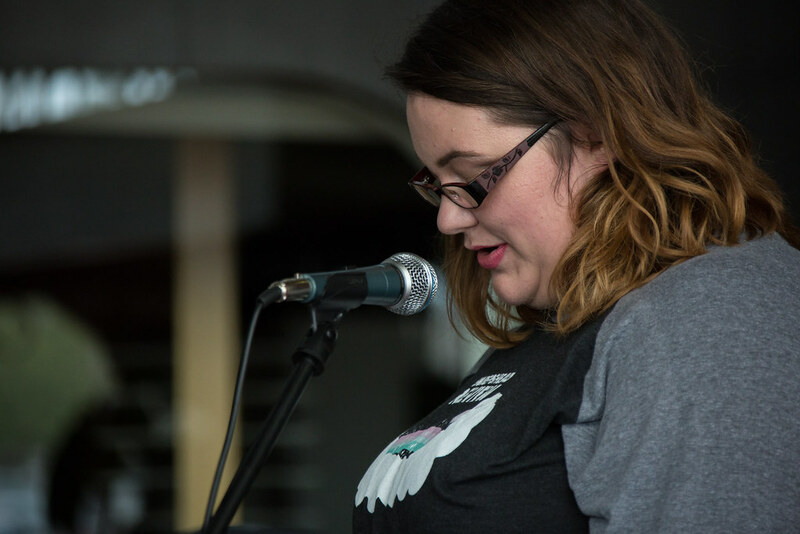 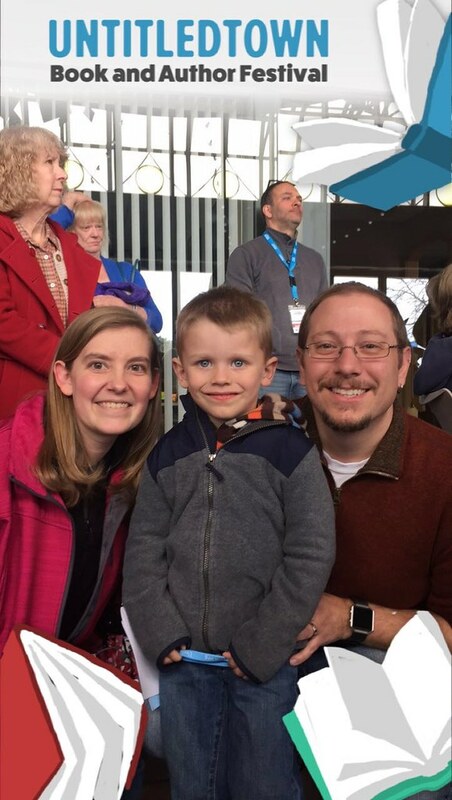 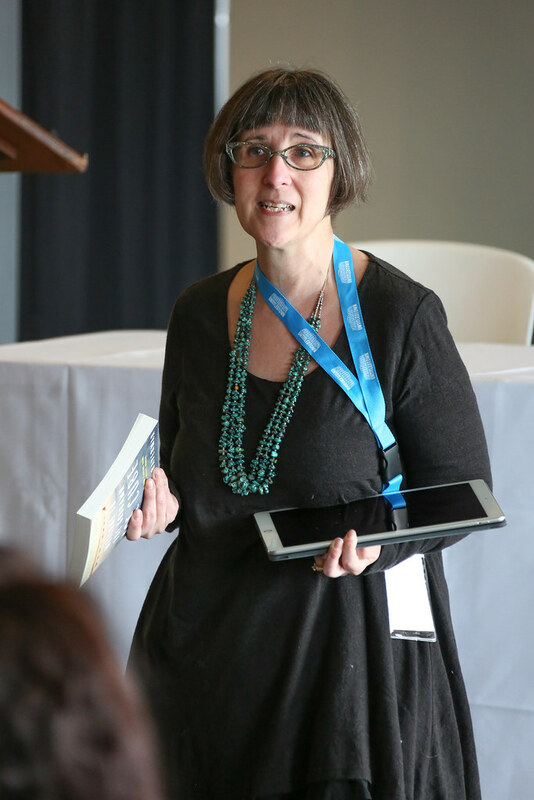 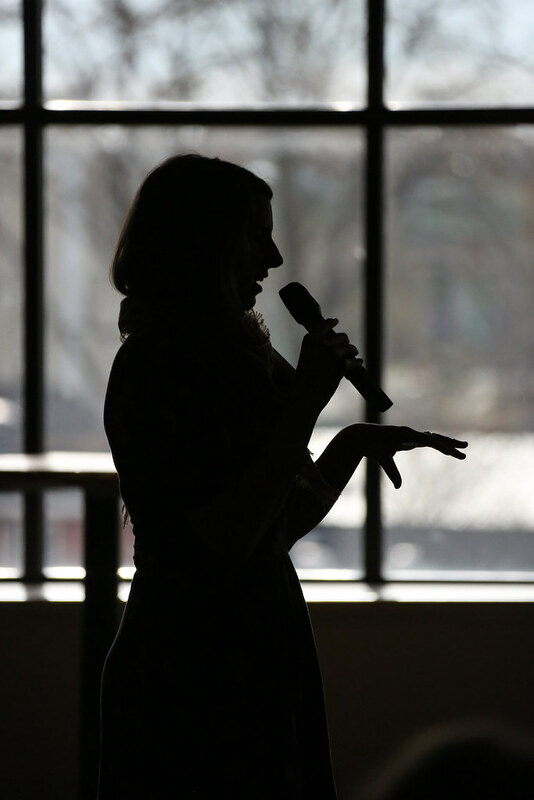 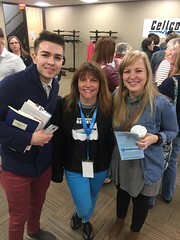 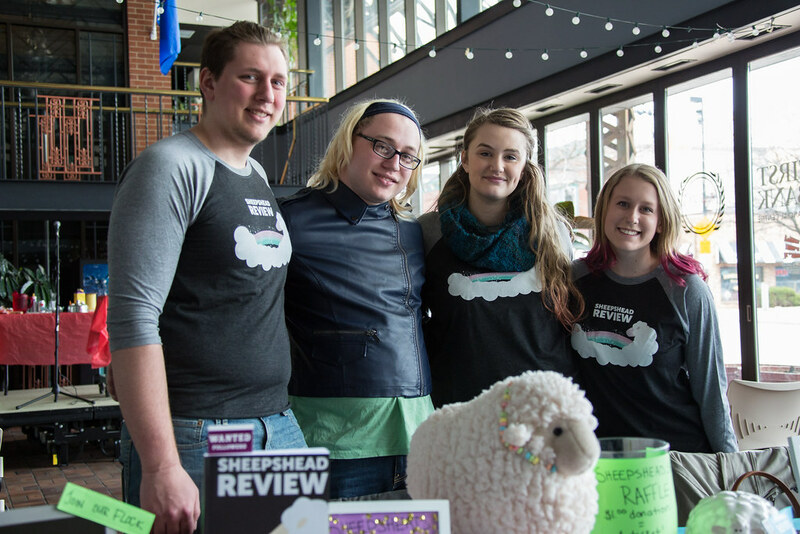 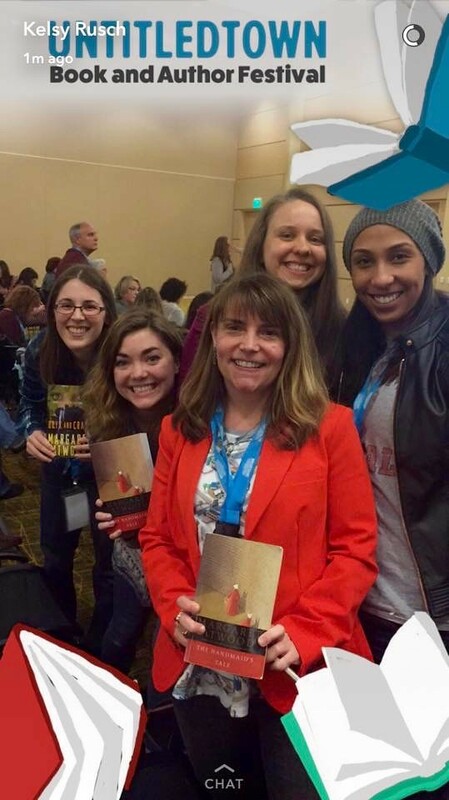 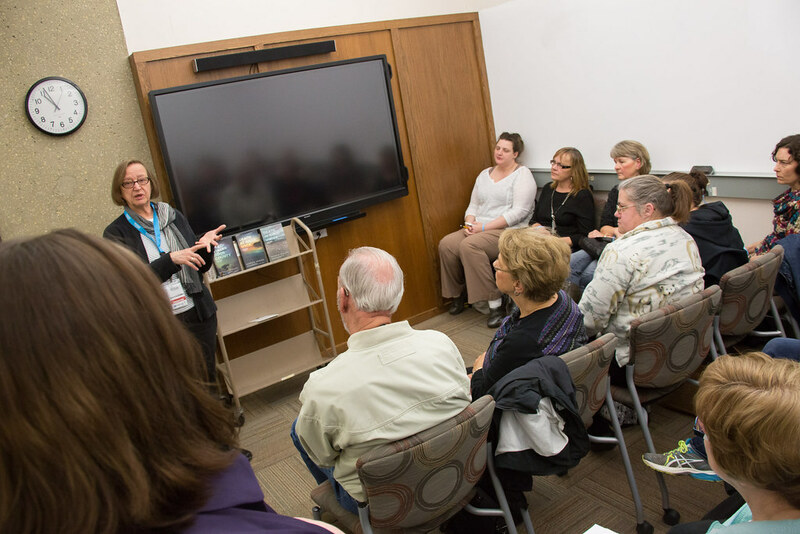 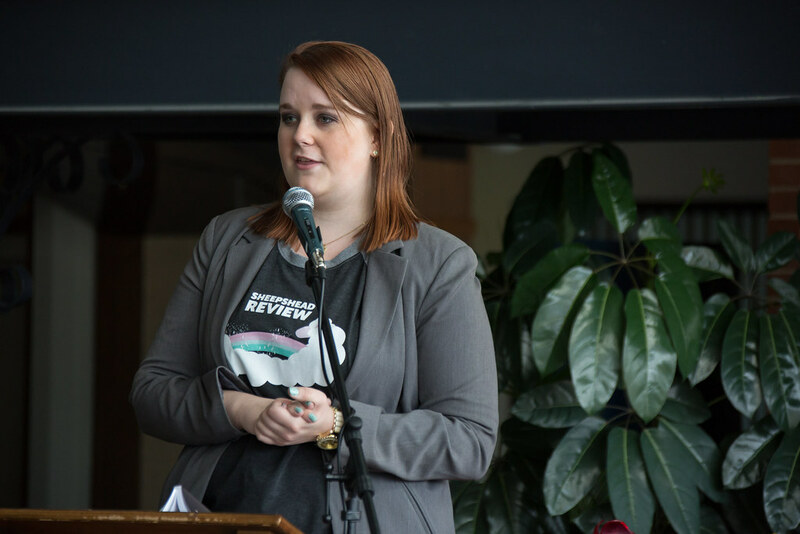 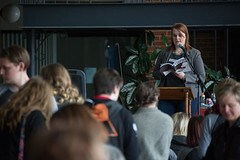 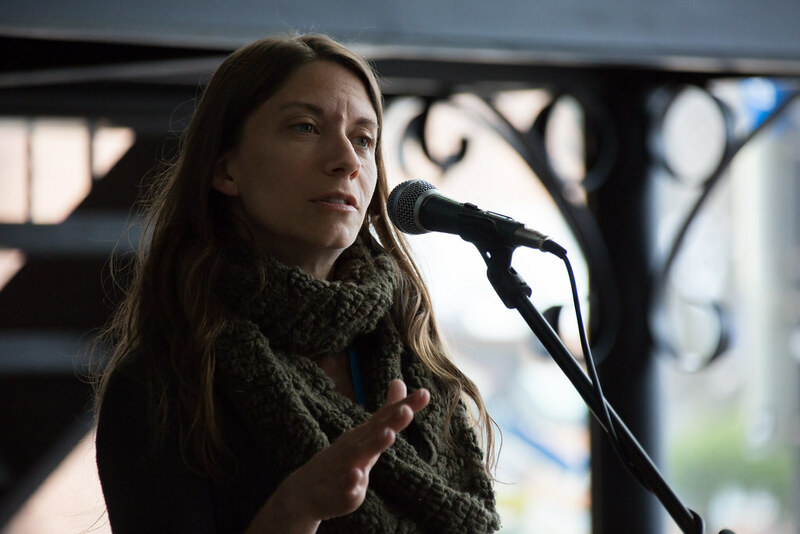 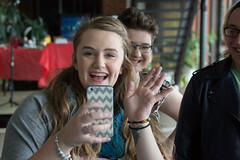 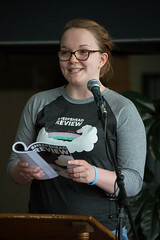 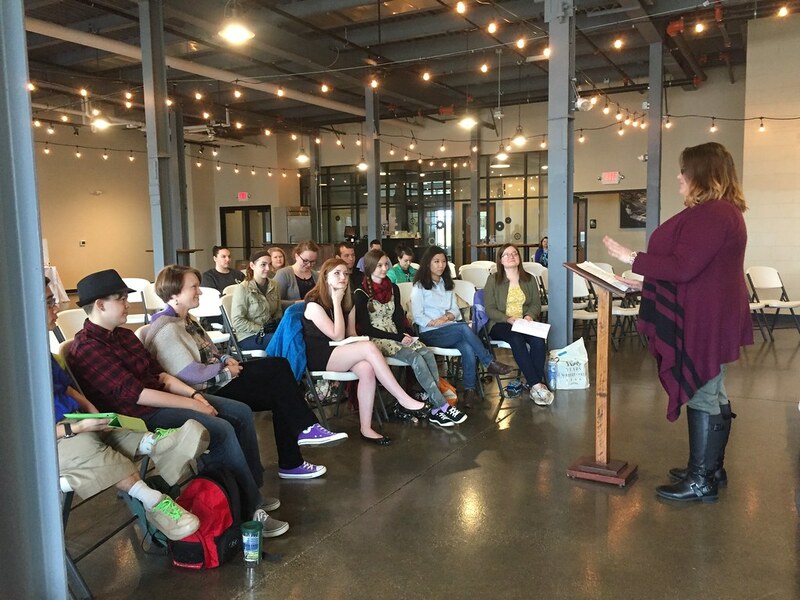 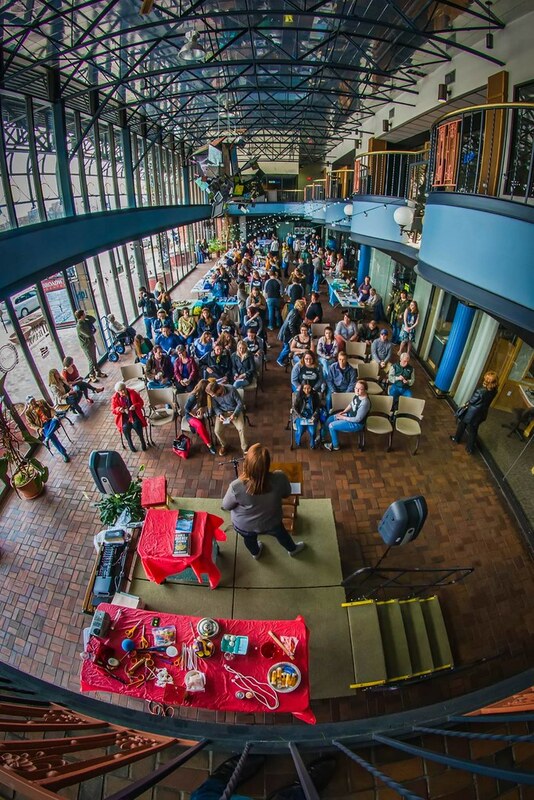 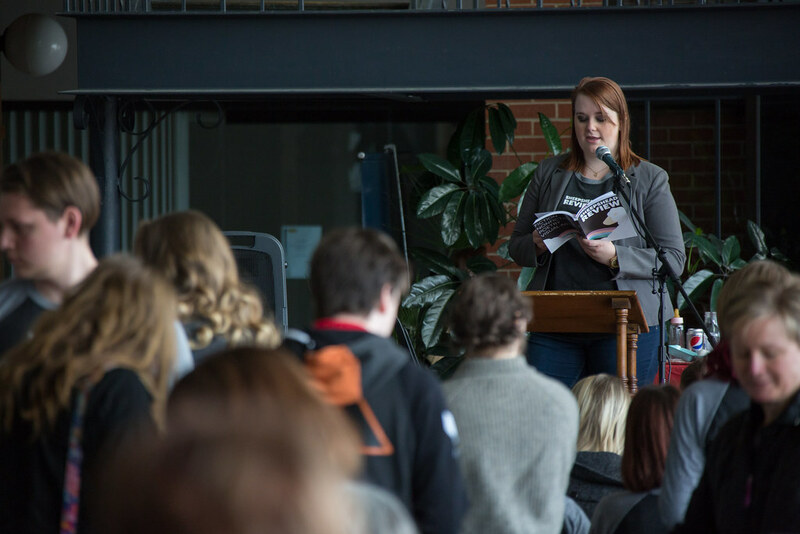 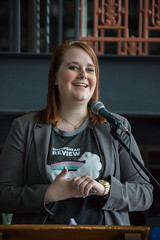 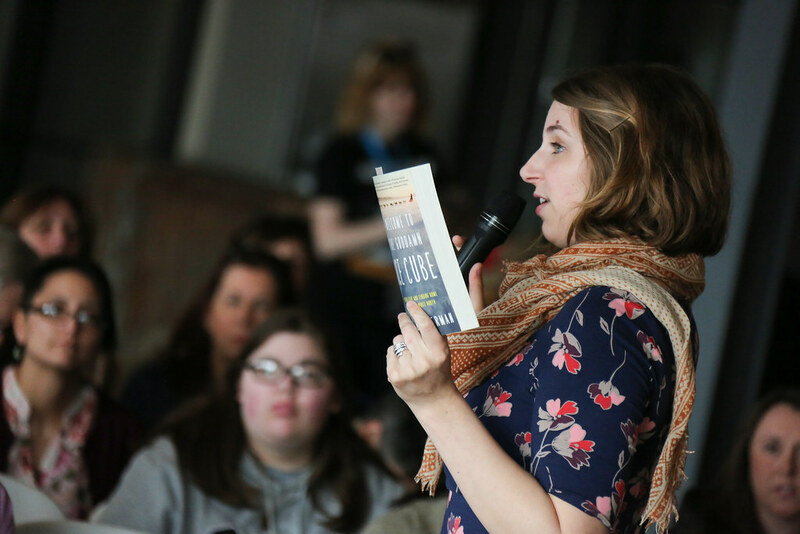 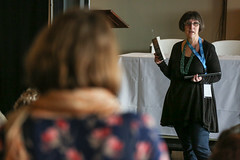 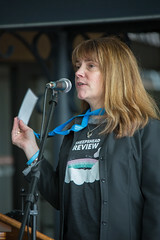 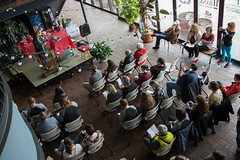 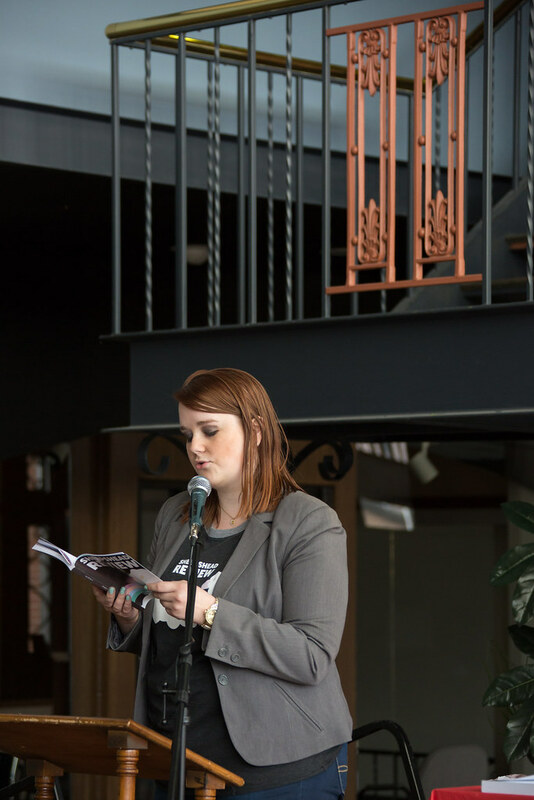 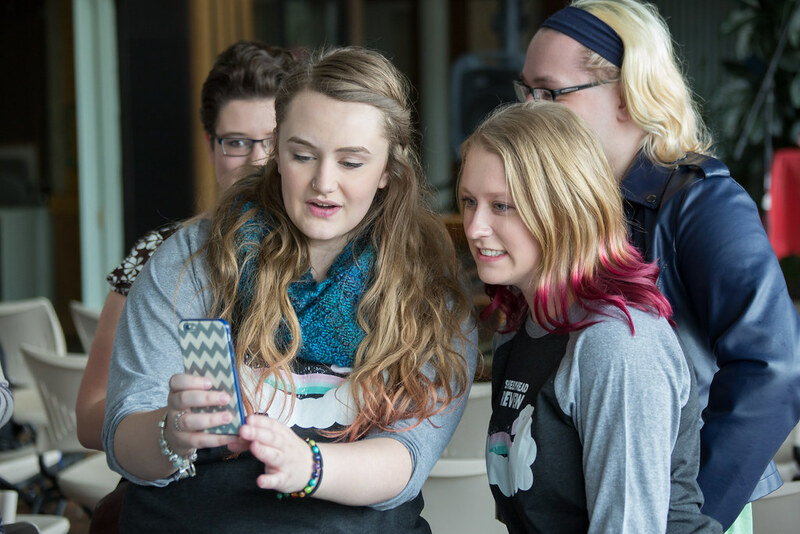 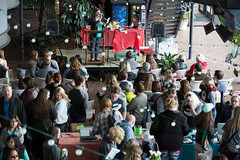 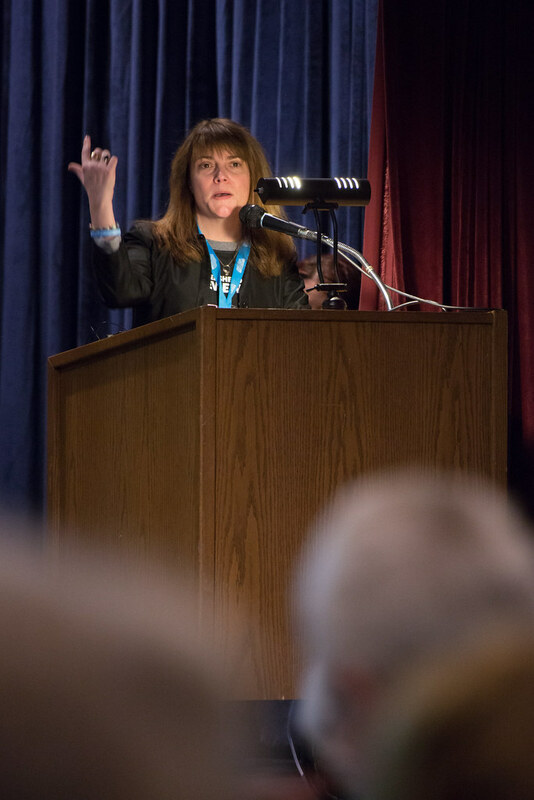 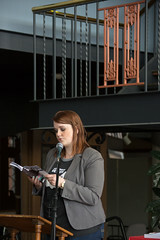 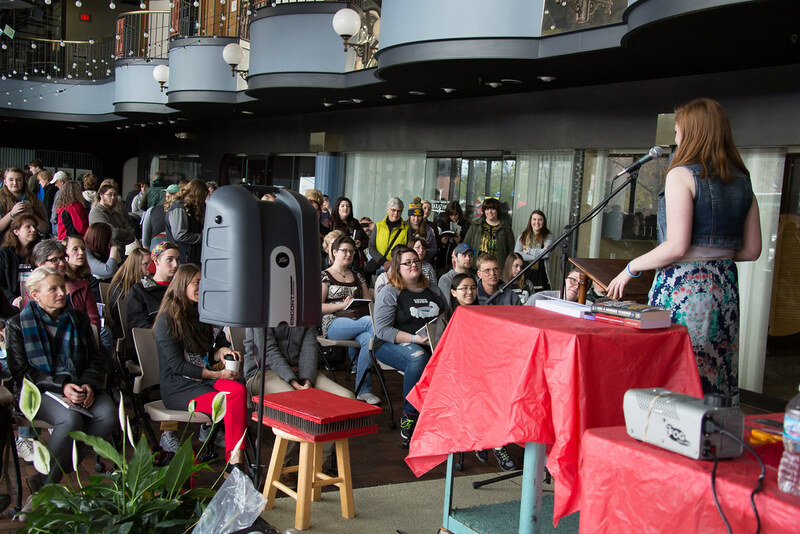 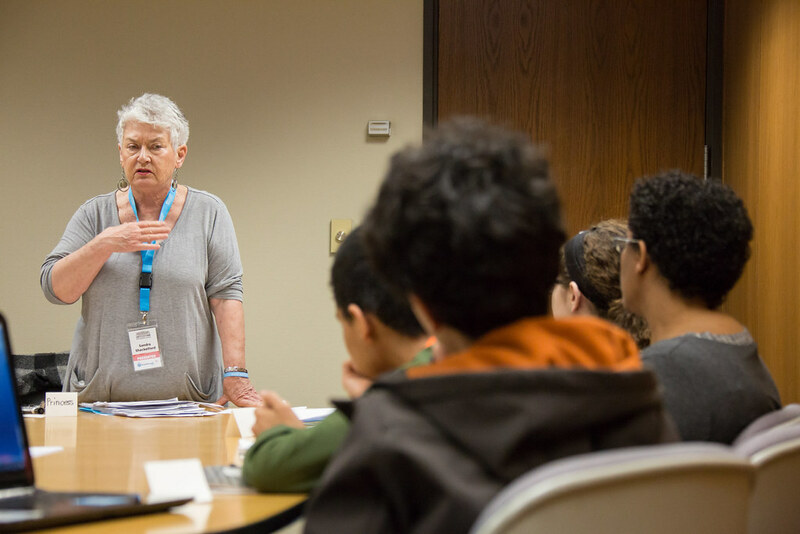 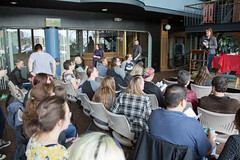 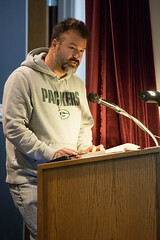 “I am delighted, but not entirely surprised, by the demonstrated hunger for reading, writing and making community connections here in Northeastern Wisconsin,” one of the event organizers Prof. Rebecca Meacham said about the event. 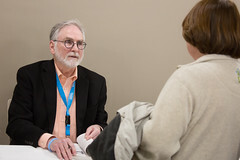 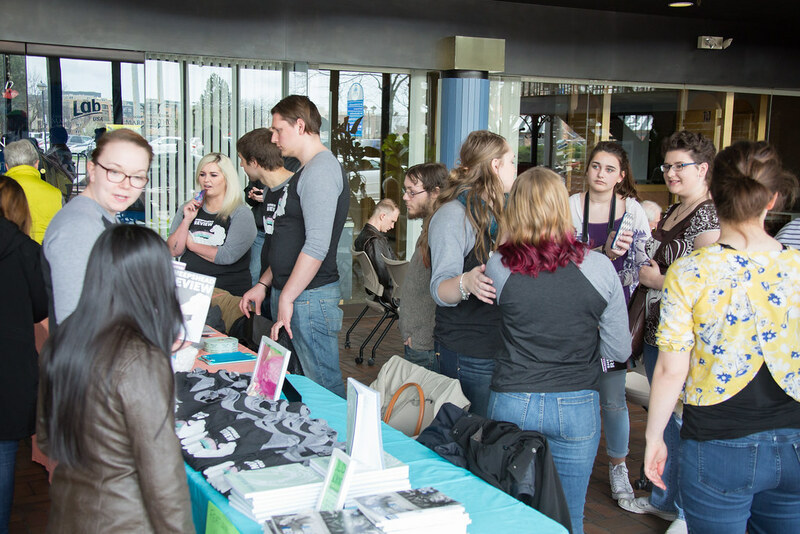 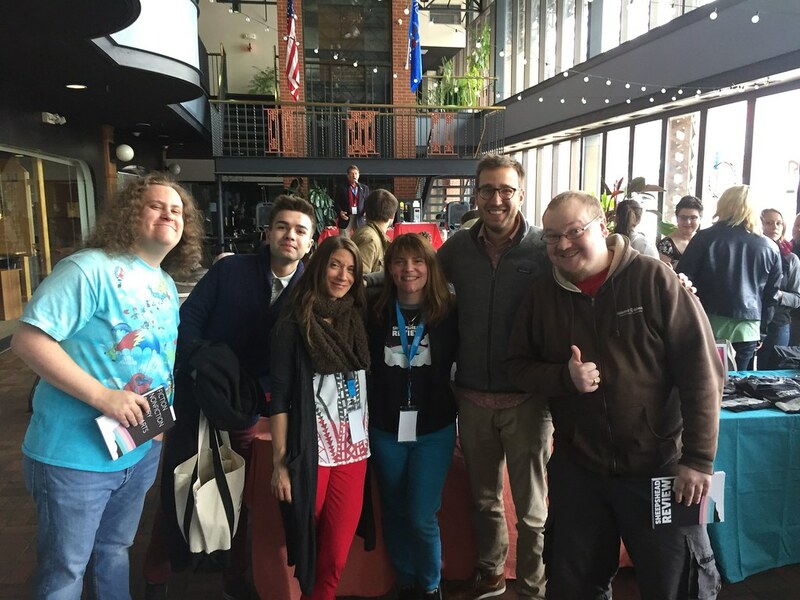 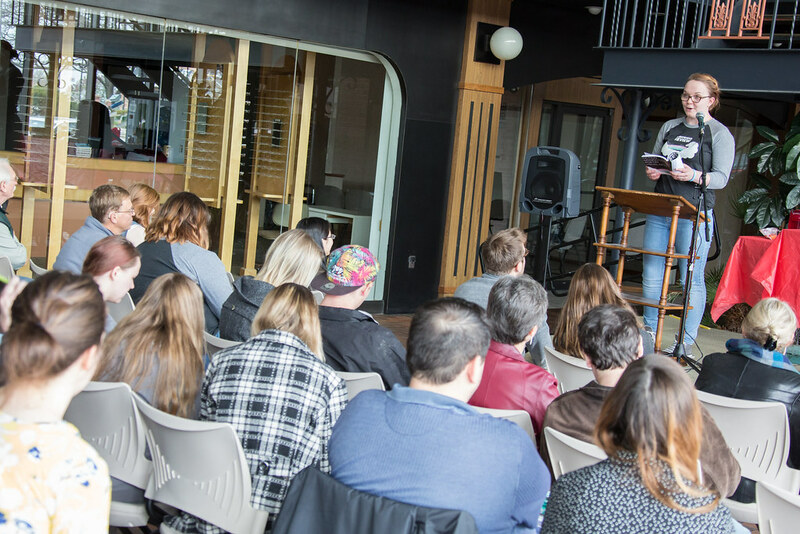 “This event is a huge opportunity for the area — for Wisconsin — for local authors to network and get their name out there,” said English Creative Writing student Robert Zeise in a CW 14 interview.